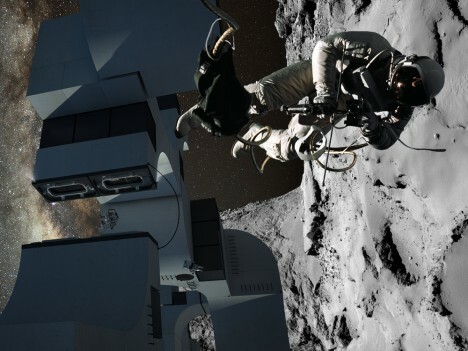 Gravitationally unbound to any star, resource-rich extrasolar comets could be the key to manned space flight beyond our solar system, providing a way for resourceful astronauts to hitch rides, mine supplies and ultimately travel far beyond the heliosphere. 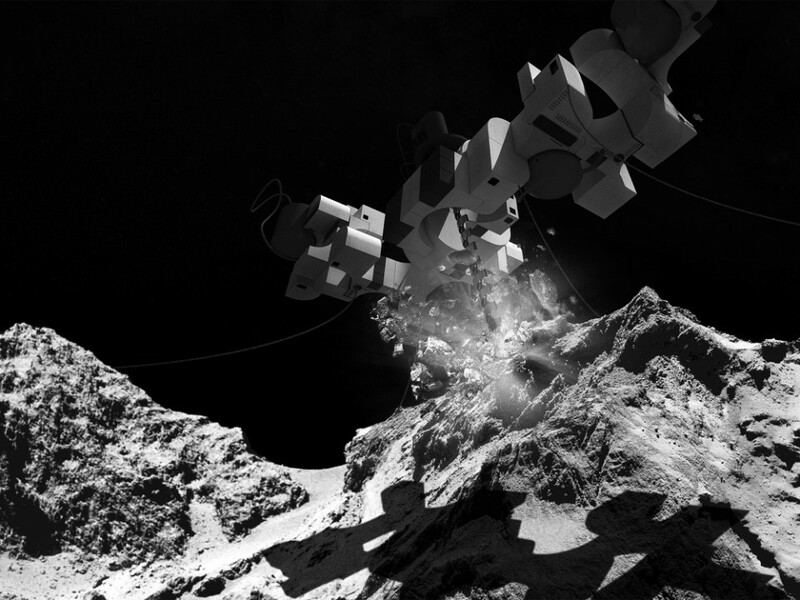 Inspired by the Rosetta mission and drawing on images from the NASA, Caltech and the European Space Agency, this Comet Runner concept explores the idea of tethering expeditions to comets and using their materials to support long-distance journeys. 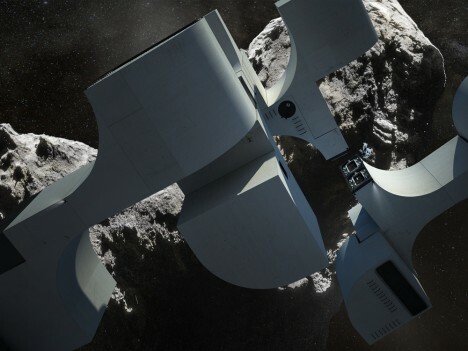 The idea also dovetails with research by NASA’s Jet Propulsion Laboratory into the possibilities of leveraging comet momentum to propel or potentially slow down spacecrafts. 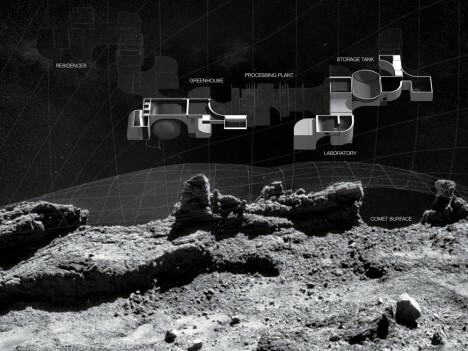 The proposed system from Clouds AO, a New York City architecture firm, involves a modular space station carrying with it the means to sort, process, store and build from raw materials mined from a given comet, 3D-printing from surface dust and inducing artificial gravity by augmenting the object’s natural axial rotation. 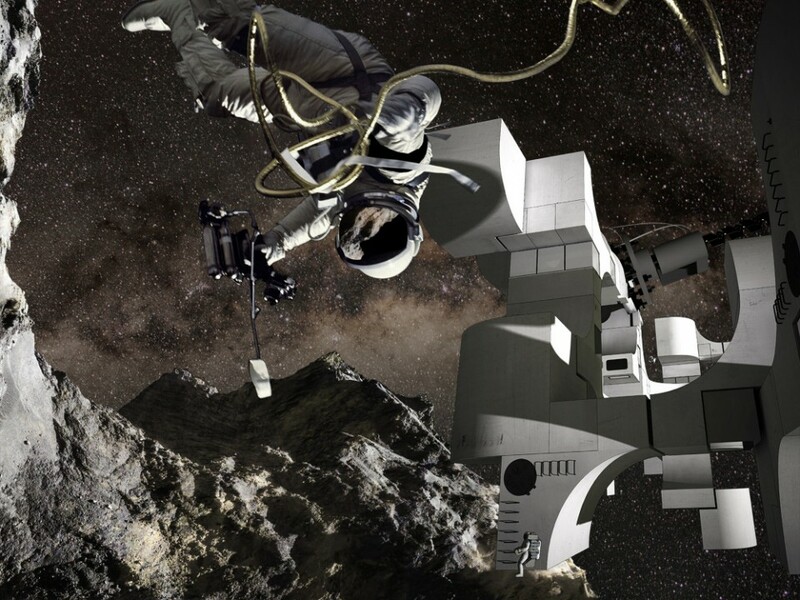 Just like a reluctant space vehicle (or Sandworm from Dune), inertia could be fought and adjustments could be made to the trajectory, providing the means for directional control or at least minor course corrections. 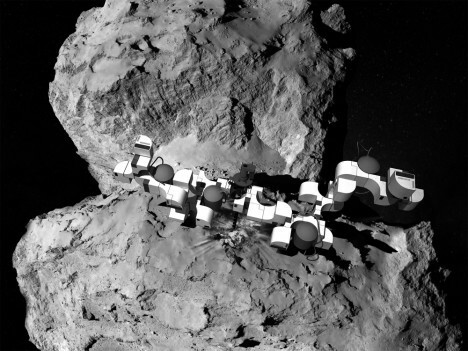 Consider the architectural implications of this strategy and the forms it might take: not so unlike buildings on Earth, the driving idea is to create a structure that works within its physical context, adapting to while best utilizing elements of its surroundings. 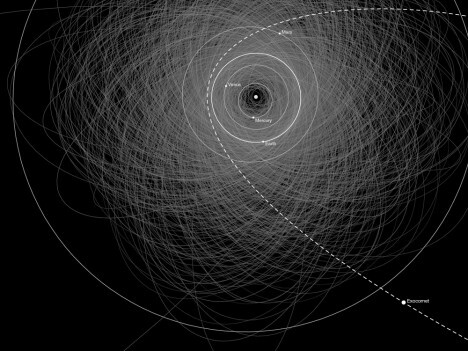 Of course, this is just a thought experiment and design concept for now, but the constituent elements are there: comets abound, rich in materials and tracing all kinds of paths through and beyond our solar system – the question is not whether but when we might be able to harness them to suit our ends, or perhaps whether we will find better means in the meantime.